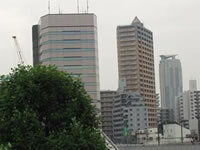 Kawaguchi city is located in Saitama Prefecture, Japan. The city was founded on April 1, 1933. As of 2008, the city has an estimated population of 500,140. 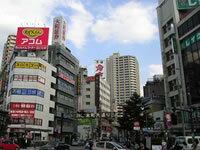 Kawaguchi station is very convenient for shopping because there are many stores and various buildings such as Sogo. The east side of the station is composed of stores, the Media Center, a new library, and condominium. 10 to 15 mins from Kawaguchi stn. The Tatara Festival, which includes a karaoke contest, street stalls, the samba, and fireworks, is held in August.